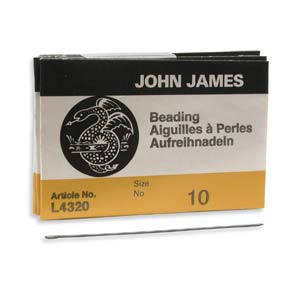 Characteristics: These stiff, yet flexible, English beading needles are referred to by beaders as “longs.” John James English needles are high quality and one of the most popular beading needle options. Quantity: 1 Pack of 25. Country of Origin: Made in England. Great beading needles. Great transaction! Just as describe, thank you!